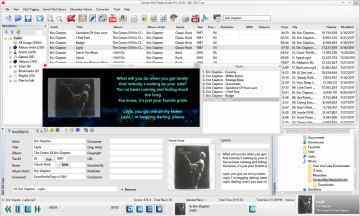 Automatically identify mp3 files and add Cover/Album art, Lyrics and other matadata information such as Artist, Title, Album, Genre, Year, Track Number etc. to your files. Batch processing allows you to auto tag unlimited number of files. 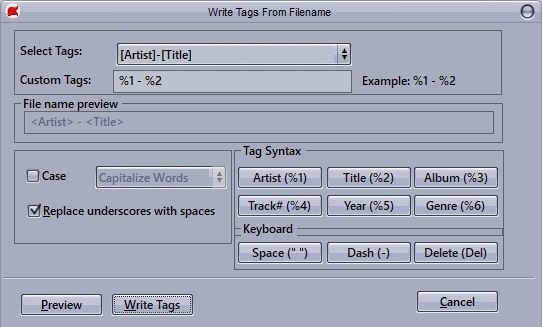 After tagging you will have your files tagged, organized and categorized by Artists, Albums, Genres, Years etc. Transfer your Mp3 files to any device (iPhone, Android devices, mobiles etc.) who will automatically recognize tags tagged by our application. Start tagging now and create clarity from cacophony of your mp3 files within few minutes. 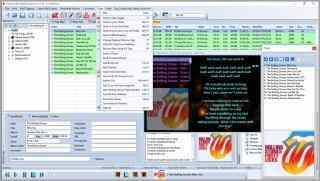 Manage a Mp3 library consisting of small to very large collections of Mp3 files, whether they're located on your hard drive, CD's, or a network. Organize, browse or search music by Genre, Artist, Year, etc. Automatically rename files on your hard drive using your choice based on attributes such as Artist, Album, Track Title, Track number etc. 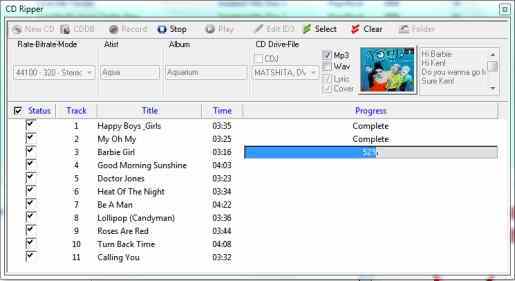 Advanced CD Ripper converts your music CD to Mp3 files and automatically ads Cover/Album art, Lyric and other matadata information such as Artist, Title, Album, Genre, Year and Track Number using Free DB and Zortam tag database. 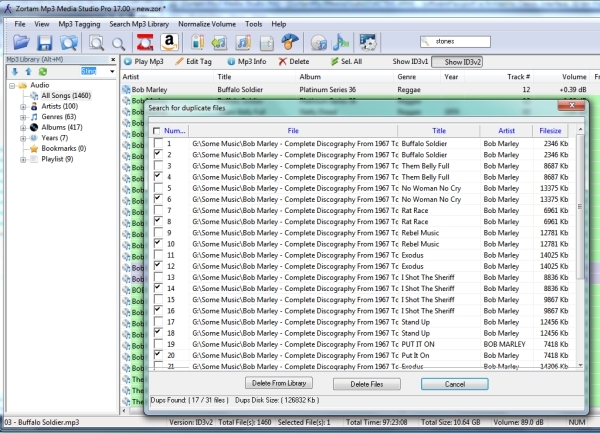 After converting CD, your new mp3 files are completely tagged including new cover arts and lyrics tag. 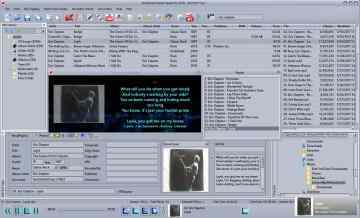 Listen your tracks and at the same time enjoy a show of lights and images visualizing the covers of your albums and song lyrics. Watch scrolling lyrics and transparent cover art with different visualizations or static jpg backgrounds while playing Mp3's. Switch to full screen graphic mode. Add your own backgrounds and plugins. 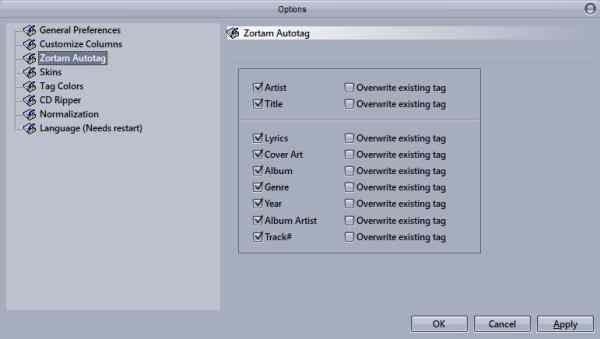 See complete description... You may also use integrated Zortam Mp3 Player or any other player changing player options in options menu. 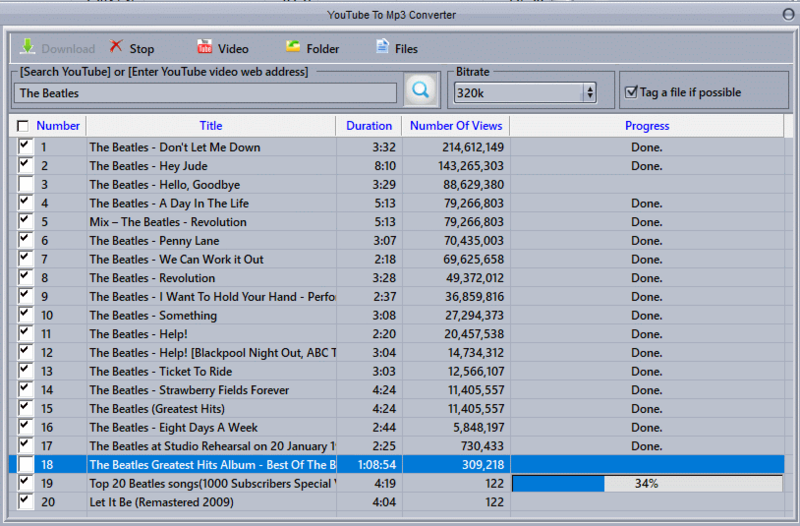 Create Playlists with ease. 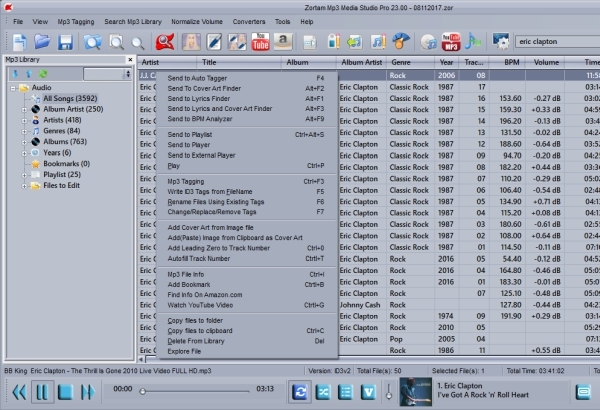 Just drag and drop your tunes to mix mp3s and videos from your Library, If you're using third-party devices or players, Zortam Mp3 Media Studio can export playlists to m3u files. Normalize volume level of your Mp3 collection to specific volume, so every song you play will have the same volume. You can change volume of normalization in Options menu Default volume of normalization is 89.0 dB. If you want your song to be louder just increase volume from 89.0 dB to higher volume. You can also undo normalization if you don't like your new volume. Select songs from list and change any tag you want. Make your Mp3 collection organized by Genre, Years etc. Some additional tools for tag and file manipulation.